Veronika is a fantastic team member of our manufacturing staff and we are delighted that she will be working with this team again in the coming season. She has great initiative, a good eye for detail and always brings a smile to her workplace. 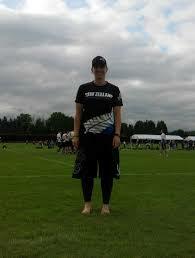 We have all been very proud to watch Veronika’s progress in her spare time, in the sport of Ultimate. This is a newer sport in NZ and combines the non-stop movement and athletic endurance of football with the aerial passing skills of netball, a game of Ultimate is played by two teams with a flying disc or Frisbee™ on a field with end zones, similar to touch rugby. The object of the game is to score by catching a pass in the opponent’s end zone. Since its creation in the USA (Ultimate was developed in 1968 by a group of students at Columbia H.S. in Maplewood, NJ), Ultimate has gained worldwide recognition as a fast-paced, low-contact, low-cost sport that emphasizes sportsmanship through Spirit of the Game. Veronika has recently returned from going with the NZ Ultimate Women’s Team (Whaitiri) to the World Ultimate Championships in London, England! Her focus will now shift to the 2017 NZ Championships to be held in Upper Hutt at the end of March. Veronika’s dedication to her role at CDF and her work ethic to achieve such huge success in her sport is phenomenal. Well done Veronika and good luck for your next challenge!